I’ve collected a few more stories of how people are using and finding my book How To Welcome Church Visitors. We have been giving church hospitality workshops for over 15 years and of the 25 or more books we have used in the past, yours is by far the best contribution to the field with all it’s nuts and bolts practicality. We’ve been photocopying the cover and telling our client churches that if they want to start improving their first impressions, they should start here with How To Welcome Church Visitors. 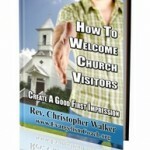 How To Welcome Church Visitors is a well-written, thought-provoking resource that is going to be a blessing to anyone who reads and applies it’s content to their church needs. This book is especially important to me, as I serve on my church evangelism board and recently volunteered to manage our greeter program. I measure the worth of a book by the number of ideas I’m able to apply to real needs. I found no fewer than 25 great ideas that I can apply immediately! I recommend this book without reservation. Chris Walker’s coaching ability is wonderful. He’s a clear thinker with a way of cutting through the clutter and confusion surrounding a problem. He focuses on the most practical path to a resolution and effectively communicates how to reach the intended goal. The Rev. Paul Stokes has published a review for GEAR (the Group for Evangelism and Renewal in the United Reformed Church). Ron Crandall, connected with Asbury seminary, wrote about his take on this book. One Presbytery in the Presbyterian Church (USA) bought and gave away copies of How To Welcome Church Visitors to over 50 of their church congregations. This is a common description of many Christians who have been walking with the Lord for many years. 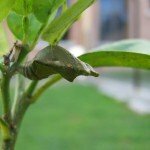 I once asked a church where I was preaching: Where are the new believers? They realized they didn’t have any non-Christian relationships. 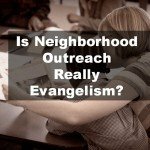 I recently did a evangelism workshop on personal evangelism with nearly 80 people in attendance and all had known the Lord for at least 15 or more years. Let’s take a moment to look at your significant relationships. Think of people you choose to spend time with on somewhat of a regular basis. Make a list of friends who immediately come to mind. Try to name as many as possible in the next 60 seconds. Now look over the list. Who goes to church with you? Cross them off this list. Who attends another church regularly? Cross them off. Who shows evidence of a relationship with Christ? Cross them off. Do you have anyone left on the list? Where you surprised by the results quick little exercise? 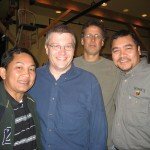 If you have plenty of non-Christian and unchurched friends, what do you do to maintain those relationships? If you have few such relationships, what will you do this week that can start to change that? In late October, I am scheduled to go to Faith Community Fellowship Church in Mt. Vernon Washington, to help facilitate a 4 day workshop on personal evangelism, as part of the Dunamis Course series for Presbyterian Reformed Ministries International (www.prmi.org). Take Exit 227 (College Way) then east on College Way about 3 miles, turn right on Monte Vista Drive. Registration begins 8:00AM Oct. 23. No lodging is included. So the only fees are your meals, payable at the door. 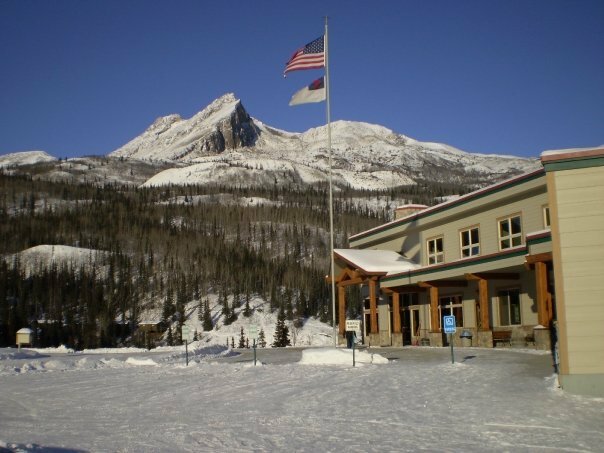 In just a few weeks, I am scheduled to go to Victory Bible Camp in Palmer Alaska to help facilitate a workshop on personal evangelism, as part of the Dunamis Course series for Presbyterian Reformed Ministries International (www.prmi.org). 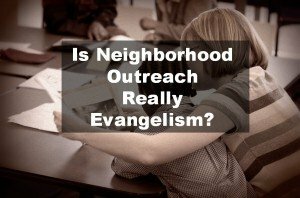 The Evangelism Dunamis also seeks to develop practical evangelism skills in cooperating with the Holy Spirit in doing the work of personal evangelism. VICTORY BIBLE CAMP is located near Mile 94.8 of the Glenn Highway. A well placed sign points to the turn from the highway. WHAT TO BRING: bedding, pillow, towels, Bible, notebook. 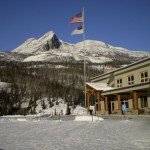 TRANSPORTATION: If you need help between Anchorage and Victory Bible Camp or can HELP TRANSPORT, please contact Pat Cook (local coordinator — I can put you in touch). DIETARY: Meals served at VBC can not accommodate dietary restriction. There are kitchens available in some of the dorms for personal food preparation. Fill out the form below to register for The Evangelism Dunamis in Palmer Alaksa. You will receive a conference registration link via email. You’ll also be added to our newsletter list to receive monthly news about our website. You can unsubscribe at any time. Update: If you’d like to have a local Evangelism Training Seminar for your church or area, see our various options at our Evangelism Training page. 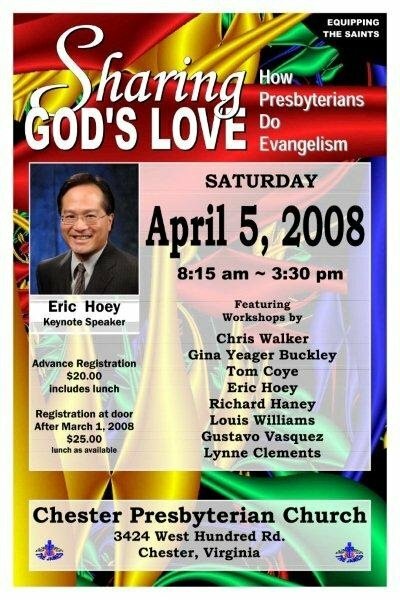 On April 5, I’ll be presenting “How Presbyterians do Evangelism” at a workshop for the Presbytery of the James in Richmond VA. It will be at Chester Presbyterian Church. Gustavo Vasquez who will be sharing a workshop on Hispanic Ministry. It promises to be a good morning. 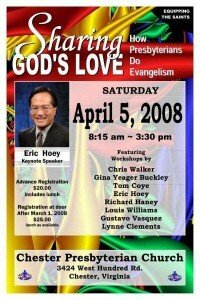 If you are in the Richmond area, consider registering and sending a team from your church. It’s not just for Presbyterians, so feel free to come no matter what part of the Body of Christ you are in. Moving church outside of Church. If you’d like to have a local Evangelism Training Seminar for your church or area, see our various options at our Evangelism Trainingpage.